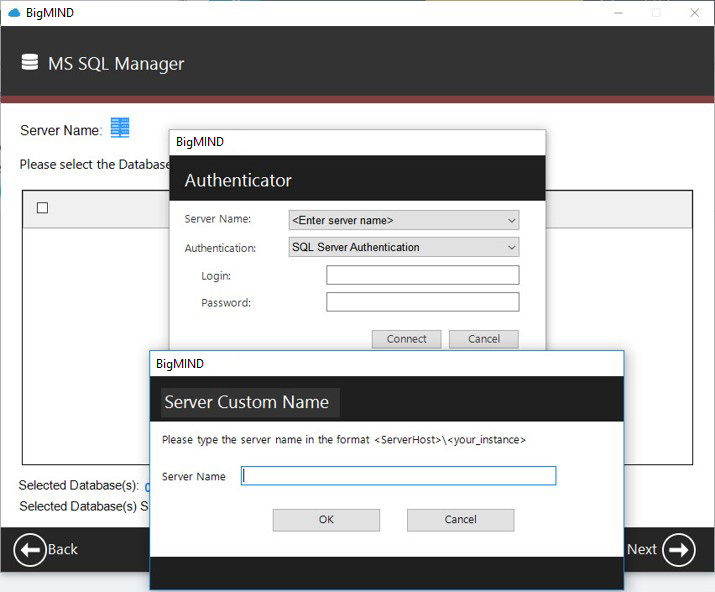 Make sure the MS SQL server is properly activated on Machine B as described in this article. 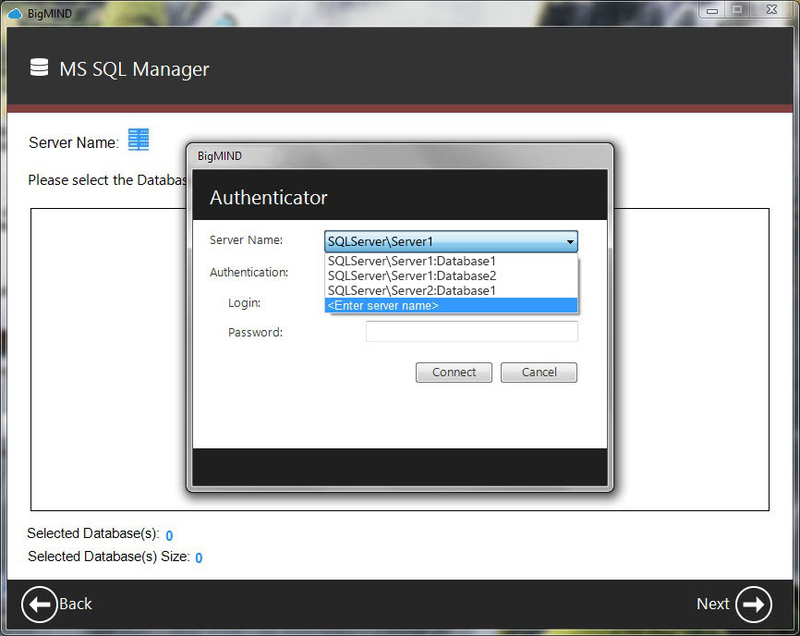 Open your BigMIND desktop client on your Machine A → Click the MS SQL button on the Dashboard. 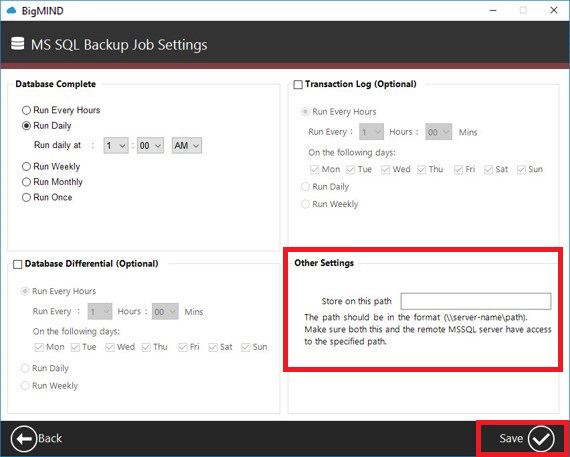 In the MS SQL Backup Job Settings, and under the Other Settings section of the window, you must provide a path for a location (Folder) that both Machine A and Machine B have Read & Write access to it. 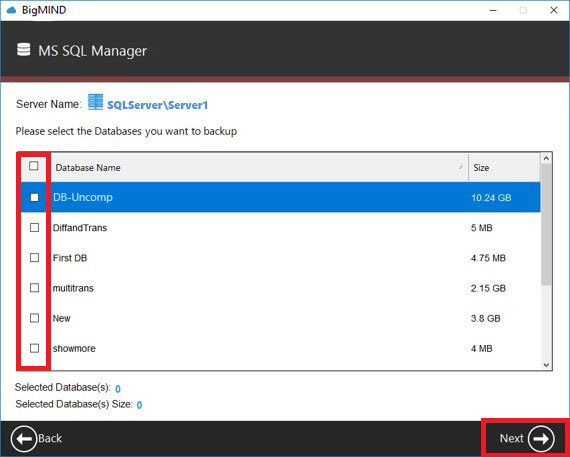 This path should be provided in the following format: \\ServerName\Path → Specify the other settings in this window and click the Save button. 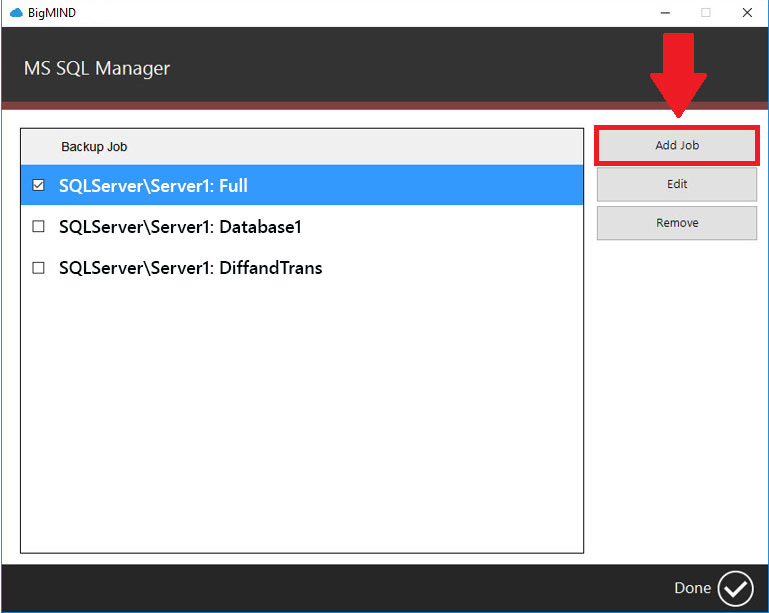 To learn how to create shared folders with Read & Write privileges, please click here.